Have you ever noticed that some houses are quite nice, whereas others are less so? You might think this obvious, but this was startling enough to make The Sun, The Daily Mail and The Daily Express recently. THE perfect home is two miles from a supermarket, ten from the sea and in walking distance of a pub whose landlord knows your name, research shows. It would also have good neighbours on both sides, be near the countryside and a newsagent — and contain at least two TVs. Additionally it needs off-road parking, a spare room, an en-suite bathroom, a neat lawn — with trees around it — and fast web access. So what makes the perfect home? Having a garden, a nice lawn, a nice dinner table, a nice bathroom, nice local conveniences… remarkable stuff, I’m sure you’ll agree. It’s so generic a list you expect to see ‘has windows’ and ‘neighbours who don’t regularly throw their excrement at our children’ on the list too. 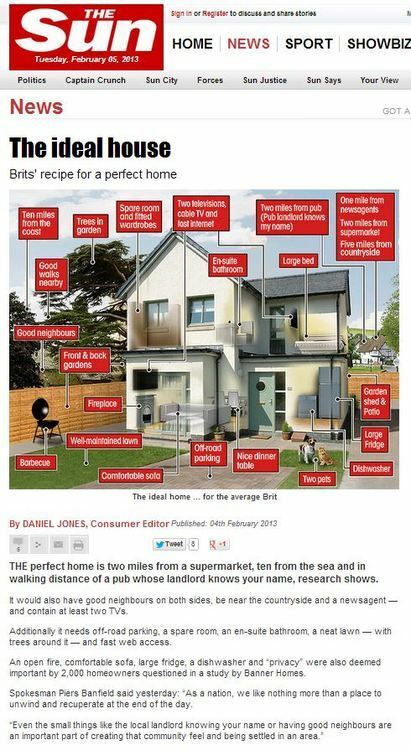 Who has presented us with this revolutionary way of telling a nice house from a not-nice house? An open fire, comfortable sofa and ‘privacy’ were also deemed important, the study by Banner Homes. Yesterday Spokesman Piers Banfield said: ‘Community spirit and a close bond between neighbours is arguably a little harder to come by these days, but the study proves it’s something we still view as integral to being happy with where we live. 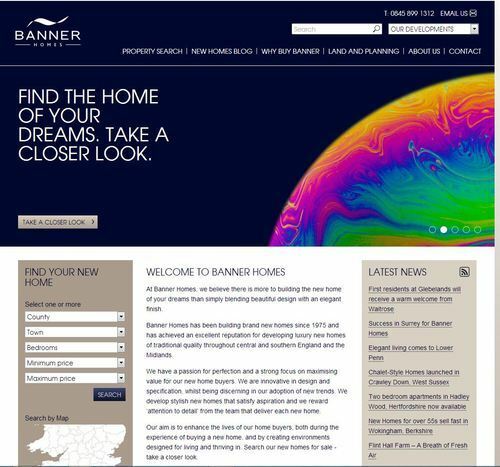 That would be Banner Homes, ‘one of the UK’s leading independent retailers of fine new homes’, telling the world that they understand what makes a nice new home. 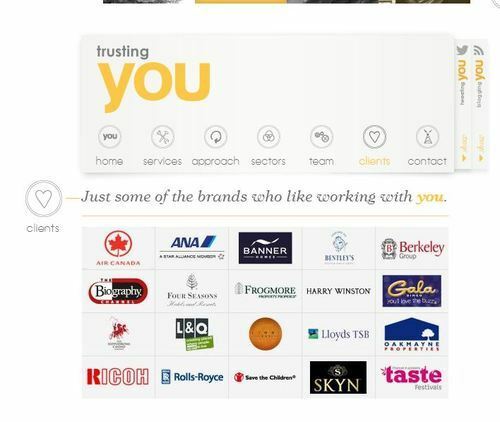 The research which made the media was commissioned by Banner Homes’ PR agency You, and carried out by regular PR pollsters OnePoll. This entry was posted in Uncategorized and tagged 72 point, banner homes, daily express, daily mail, daniel jones, onepoll, south west news service, the sun, you on February 16, 2013 by Michael Marshall.